In 1995, Zhi-shan started with donating goods, including medicine, clothes and milk powder to orphans and disadvantaged children in Vietnam. In 1998, Zhi-shan began to operate an educational support program in Quang Tri Province, followed by Hue Province, Quang Binh Province, Ha Tinh Province and Nghe An Province. Our work mainly involves provision of scholarships to children from primary school all the way to college, aiming to enabling children with limited resources to complete basic education. 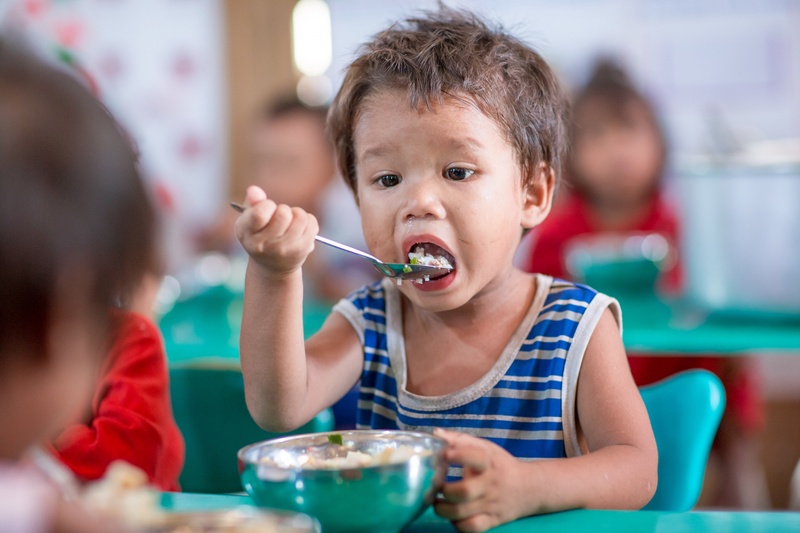 Early childhood care, including the infrastructure of childcare centers, educational tools, qualified caregivers/ teachers and quality education in Central Vietnam remains poor. Many childcare center buildings are old and dangerous, putting children at risk. Furthermore, because of poverty and the lack of resources in childcare centers, children also suffer a high level of malnutrition. Since 2004, Zhi-shan has collaborated with the local authorities and communities to construct several childcare centers which are responsive to local needs and deliver decent care and educational services, as well as nutritional interventions in remote countryside areas. As the main battlefield of Vietnam War, Central Vietnam still suffers from the negative effects of the Agent Orange, which was widely used during the War. The chemical dioxin causes higher risk of physical deformity and cancer in Vietnamese children, particularly in the Central region. Zhi-shan initiated the Corrective Surgery Project for Children with Deformities, providing free surgery and medical treatment as well as physiotherapy equipment and services to children suffering from multiple health problems, allowing them to lead healthier and better lives. To date, Zhi-Shan collaborates with more than 500 schools in Vietnam, assists more than 10,000 local children to receive education and supports 18 Early Childhood Care centers. The Corrective Surgery Program has been running for more than a decade, and 2600 children have been cured from physical disabilities and are able to study for their better future.